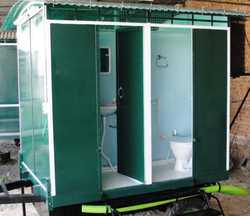 To cater the variegated needs of our esteemed customers, we are highly engaged in offering a wide array of Portable Bio Toilet. 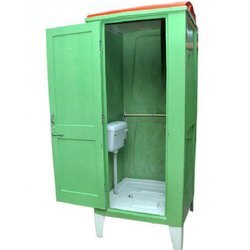 Bio toilets are portable and are made at very low cost for induatrial site project and etc. We have capability to provide HiTech Toilet System as per customer request. Honey Comb and FRP is used for light weight and rigid structure. Our Main Supplier are DUAC, Delhi for their Green India Project. Also we are designing more Hitech Toilets to compete International Market. A composting toilet is a type of dry toilet that uses a predominantly anerobic processing system to treat human excreta, by composting or managed anerobic decomposition. These toilets generally use little to no water and may be used as an alternative to flush toilets. A complete Solid Waste Management Solution - Bio Toilets!